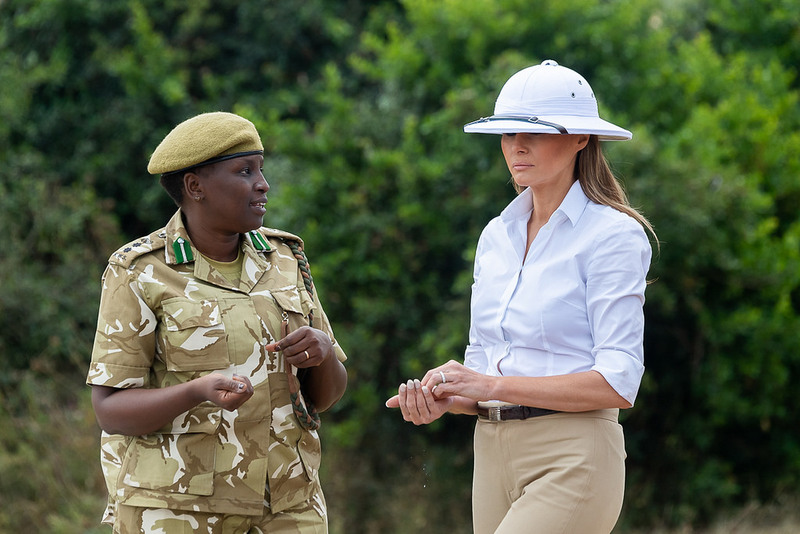 Pith helmets and jodhpurs aside, Melania Trump went to four African countries to promote her "Be Best" education initiative. What's that about? Melanie Trump in Kenya this week. Image: The White House. Melania Trump is visiting Africa this week as part of her “Be Best” campaign, to get a first-hand look at some of the education initiatives US government agencies are supporting on the continent. Education is often the ultimate solution, we hear, to the biggest, most pressing problems a nation faces. But often, education programs are offered as an underfunded attempt to ameliorate problems the same organizations are incubating. So what are the problems facing Africa now that apparently must be solved through education? Reviewing materials from the US Agency for International Development (USAID), you would be led to believe the problems mostly have to do with a lack of something important. There’s a lack of markets for farmers, which prevents them from selling their crops, and a lack of opportunity for young people, which leads to high unemployment and sometimes crime. 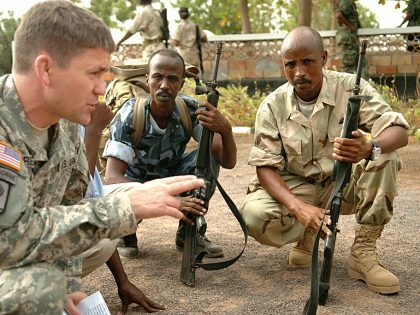 Though there’s no easy way to summarize these problems, one of the major factors US officials and others have cited to explain the inadequacies is Africa’s lack of integration with the world economy. This is where USAID’s education programs take a starring role. 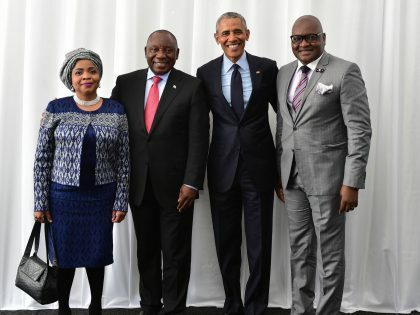 To read about the organization’s education programs in Africa and around the world, it would seem like education is a solution to the biggest overarching problem these countries face today—namely, a lack of connection to the free markets which make up the contours of the world economy. As USAID Administrator Mark Green describes it, young people are not a problem. Properly educated, they will solve problems. Today, 90 percent of the world’s youth live in developing countries, he said in a statement anticipating Melania’s visit. “Some see this as a challenge to be met, a problem to be solved—not us. We see this as a great opportunity. With each motivated, active, and engaged young mind, we see the seeds of solution, innovation.” With the right training, young people can be the raw material with which to shape Africa’s future. But why is it so urgent for Kenyans, Ghanaians, and others to learn skills to compete in the formal economy? Why is becoming an “actor in the globalized world” now, apparently, more important than ever? Perhaps we should talk to USAID’s former boss. Speaking at the African Green Revolution Forum in Kigali recently, Raj Shah, who led USAID for much of the Obama administration and now serves as president of the Rockefeller Foundation, reminded an audience of development specialists, African agriculture ministers, and financiers about the origins of a concerted effort to industrialize African agriculture that is now the focus of so many foreign organizations’ efforts in Africa. Deployed the majority of their labor. It’s not that people aren’t working—it’s that too many of them are working in the wrong fields. Or, more to the point, it’s that too many people are working in fields and not in factories or tech startups or wherever else people are supposed to work in a “diversified, modern economy.” Such a transition is necessary, purveyors of the African green revolution say, not only because work in factories and offices are better, but because agriculture is so inherently backwards. The kind of farming that the majority of Africa’s rural people still practice, growing food for a small group of people to be processed by hand, is what people do when they’re not sufficiently integrated with the global economy. If people must farm, they could at least grow raw materials for local industries, or exports for hard currency, with a minimal use of labor and a maximal use of technology. Alas, even that is a job for a mere sliver of the population, preferably something below ten percent of everyone in a given country. By that standard, Africa is changing too slowly, Shah said. Since 2003, the proportion of Africans employed in agriculture has dropped eight percent, but that drop is “simply too small to celebrate.” Still too many people work in agriculture—heaven forbid—growing food for their families and communities. The powers behind the green revolution in Africa need to redouble their efforts and encourage those people to drop their hoes and head to the cities more quickly. At this point, it’s worth looking again at education. If the millions of African people who have left farming over the last fifteen years could be reliably assigned jobs and livelihoods in some other sector through some process, a plan that deliberately made survival-by-agriculture impossible for a majority of people now dependent on it would have a stronger justification. If such a process did exist, education would surely have something to do with it. But looking at Ghana, to take one example, we can attest that widespread education has not lessened rural poverty, but, by some measures, has actually made it worse. In 2001, Ghanaian secondary school enrollment stood around 34 percent. After making education a major priority, the government increased secondary enrollment dramatically, to around 60 percent today. Young people are leaving the farms and not coming back, so that now rural Ghanaians are wondering who will take care of their farms. Africa’s green revolution at work! But are these young, ambitious people moving into the well-paying jobs of the global economy? Not really. In 2015, more than 15 percent of Ghanaians with a secondary education were unemployed, according to International Labor Organization estimates, up from around six percent in 2013. More education has led to more people entering cities in Ghana, but it has not led to more jobs—a finding which few of the young, unemployed Americans with a college degree will consider revelatory. Ghana, like many African countries, is embarking on an agenda of agricultural revolution to push small farmers into cities to become part of a new, modern economy. The same aid organizations and philanthropies which promote this transition also sponsor education programs intended to give young people the skills to work in that new economy. But in reality, these groups are making a concerted effort to undermine one livelihood for millions of people while doing comparatively little to replace it with another one. 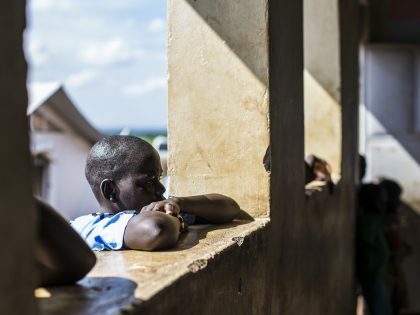 In Ghana’s case, it might even be said that widespread education has accelerated that departure of young people from the farms, making agriculture less viable for everyone else who still depends on it to survive. 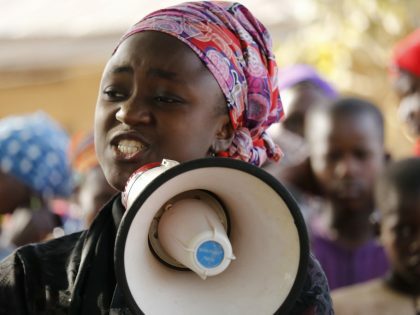 Even if we believe that education is a solution, it’s one that addresses a problem made worse, or even instigated, by the same people promoting it as one. Looking ahead as Africa’s green revolution takes shape, we should ask, as more people leave their farms, where will they go? How will they feed themselves? What jobs will they take up in the new economy supposedly taking shape? And how, apart from checking the standard metrics like GDP growth and export earnings, will we know the promise of shared benefits are being fairly shared at all? In his speech in Kigali, Shah refrained from considering such questions, but surely the panoply of education programs, funded by the rich world’s development agencies and philanthropies, in partnership with African governments, will help departing farmers adjust as conditions change below their feet. Right? Melania, before you ask whether education could solve poverty and unemployment, do everyone a favor, and ask why those problems exist in the first place.